wearable Archives - Touch Display Research, Inc. I just returned from the 2016 FLEX conference in Monterey California. There were about 650 attendees this year, 10% more than last year. It was great to meet some of you in person. At the FLEX 2016 conference, Dr. Azar Alizadeh from GE Global Research gave a presentation titled “Manufacturing of wearable sensors for human health & performance monitoring”. She first showed data about United States health expenditure grew dramatically, there is urgent need to reduce hospital care cost. 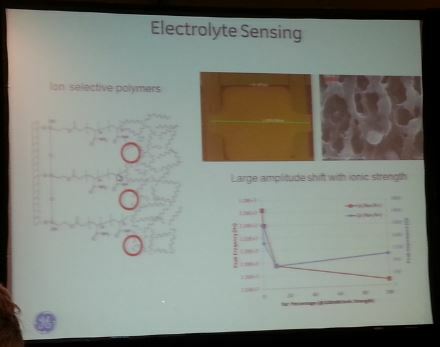 Then she discussed the wearable sweat sensor that GE is working on, which could detect the electrolytes (such as Na, K) level in the person’s sweat, and small molecules and proteins level to test the stress level. Photo by: Touch Display Research, March 2016. 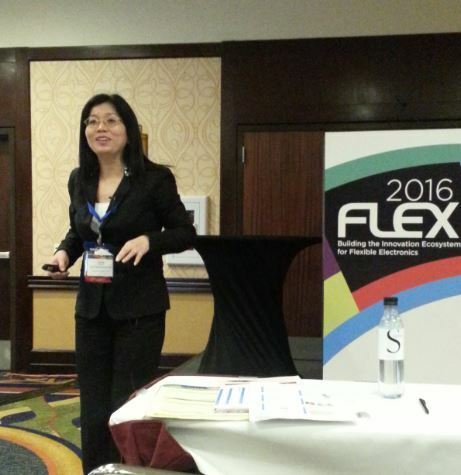 At the FLEX 2016 conference, on behalf of Touch Display Research, I gave a presentation titled “Flexible and printed electronics—tremendous opportunities in display and touch panel industries”. I discussed the discuss the technologies, manufacturing challenges, opportunities and market forecast of flexible display, quantum dot display and touch screen from 2016 to 2025. Photo credit: Ms. Kammoun, University of Stuttgart, March 2016. Sensors, wearables, flexible materials, advanced equipment are hot topics at this year’s FLEX conference. More reviews can be found in the Touch and Emerging Display monthly report, March issue. This entry was posted in Conference Review, Displays, Flexible curved display, Flexible Lighting, Flexible OLED, Flexible touch screen, wearable and tagged bio sensor, FLEX 2016 conference, Flexible, GE, wearable on March 4, 2016 by jennycolegrove. 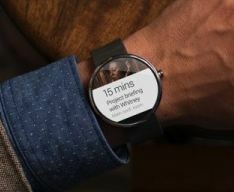 We were invited and published a guest blog article in embedded website, August 2014—Wearable devices: 7 factors to stand out from the crowd. We compared over 30 smart watches and fitness wrist bands side-by-side in one chart in the Wearable Technologies report, which just published in July 2014 at TouchDisplayResearch.com. Near-eye devices were also analyzed in this report. 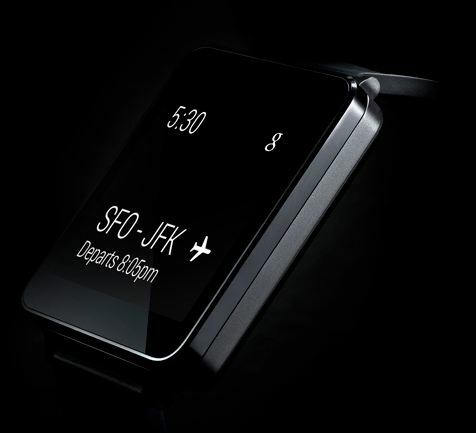 Below is a detailed discussion of the seven factors for successful stand out wearable devices…. This entry was posted in Displays, Flexible curved display, Gesture control, Touch screens, wearable and tagged Apple iWatch, authentication, battery life, flexible and curved, flexible display, gesture control, GPS, heart rate monitor, human machine interaction, log in, Touch screen, voice control, wearable, wearable devices on August 12, 2014 by jennycolegrove.